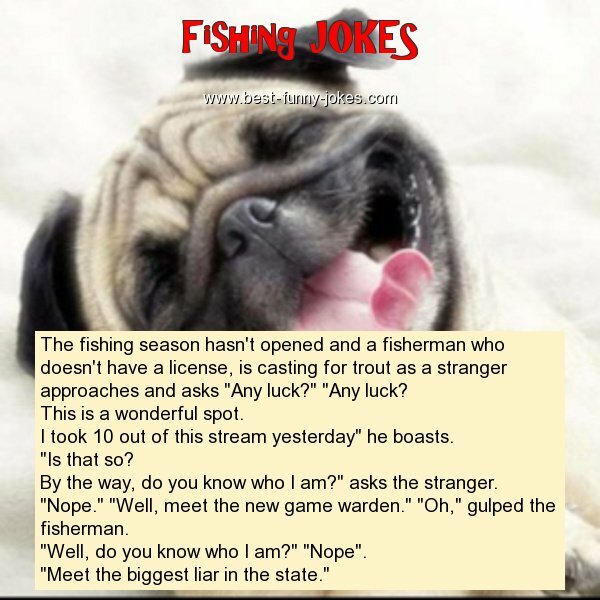 The fishing season hasn't opened and a fisherman who doesn't have a license, is casting for trout as a stranger approaches and asks "Any luck?" "Any luck? This is a wonderful spot. I took 10 out of this stream yesterday" he boasts. By the way, do you know who I am?" asks the stranger. "Nope." "Well, meet the new game warden." "Oh," gulped the fisherman. "Well, do you know who I am?" "Nope".